Despite competition including two No. 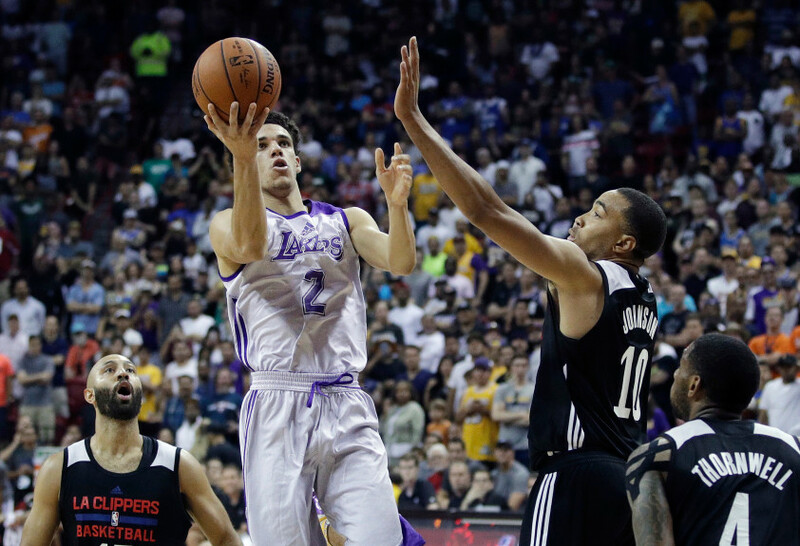 1 overall picks, former UCLA point guard Lonzo Ball has the best odds to win the NBA’s Rookie of the Year award next season. The No. 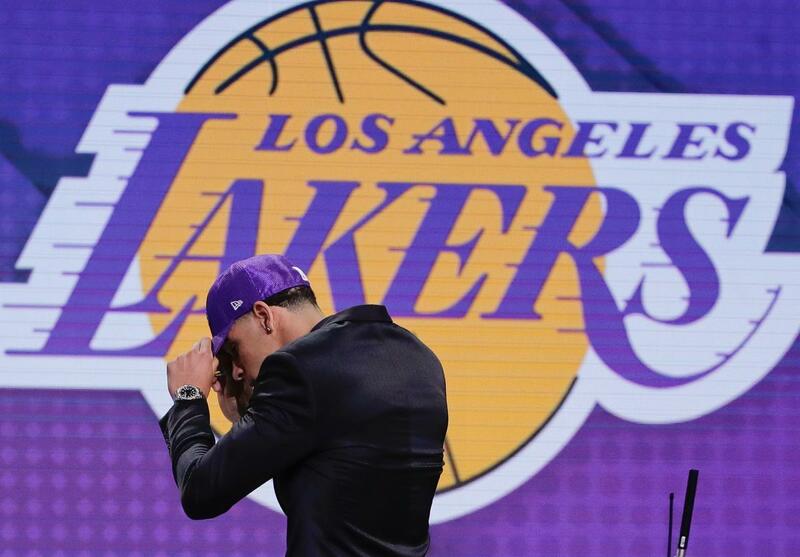 2 overall pick of the Lakers at Thursday’s NBA draft was given 5/2 odds to win the award by oddsmaker Bovada. Ben Simmons, the 2016 No. 1 overall pick who missed all of last season due to injury, has 3/1 odds and is followed by 76ers teammate Markelle Fultz, the 2017 No. 1 overall pick at 5/1 odds. It turns out TJ Leaf’s decision to declare for the NBA draft did indeed deserve less skepticism than that of UCLA classmate Ike Anigbogu – just not for the reasons we thought. Both UCLA freshmen were selected by the Indiana Pacers in Thursday’s NBA draft. Leaf was the 18th overall pick and Anigbogu, a projected first-rounder, slipped to the 17th pick of the second round, 47th overall. Concern about Anigbogu’s surgically repaired knee was reportedly the cause for the 6-foot-10, 252-pound center’s slide nearly an entire round later than his projections. There was little mention of his knee while Anigbogu was weighing his options after the season, which was understandable considering his meniscus surgery on Oct. 25 was minor enough for him to return to game action Nov. 25. 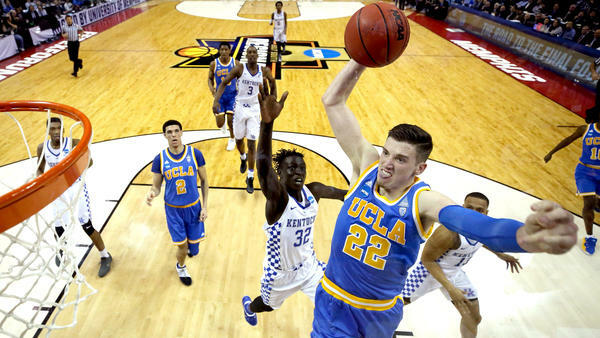 TJ Leaf was lauded for his interview skills as much as anything during the NBA Draft Combine last week. The former UCLA power forward interviewed with 14 teams at the combine and has since worked out with three teams individually. 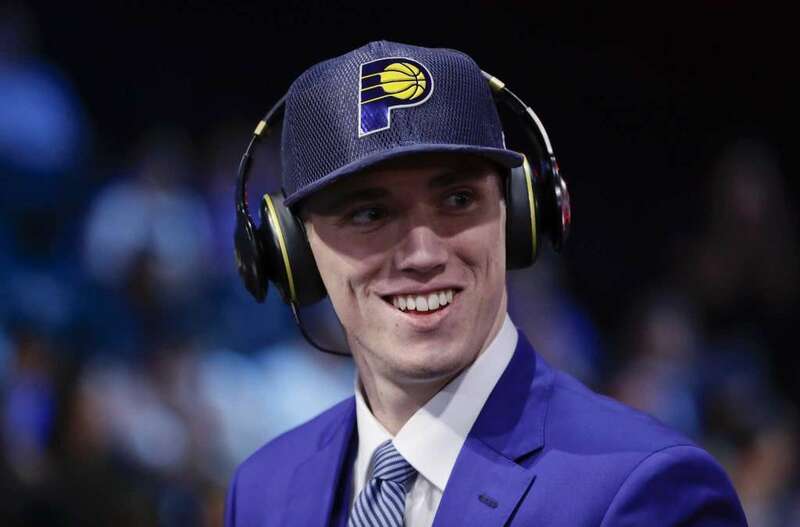 On Thursday, the projected first-round pick worked out for the Toronto Raptors – the Raptors pick 23rd in the first round – after which he talked about everything from his ability to score on three levels to whether Lonzo Ball would provide him some Big Baller Brand basketball shoes. Strengths: TJ Leaf was the best one-on-one player on the highest-scoring team in the country. Coupled with the freshman forward’s ability to run (and stretch) the floor, he was UCLA’s most dynamic offensive weapon. Surrounded by shooters and the best facilitator in college basketball, Leaf was in an ideal situation to succeed. But when he needed to create his own shot, he had abundant success scoring on anyone from anywhere. His 61.7 field goal percentage ranked fourth among all power five conference players and the 6-foot-10 freshman shot 47 percent from 3-point range, making him the best stretch four in college basketball aside from Arizona’s Lauri Markkanen. Weaknesses: Leaf was plenty athletic and surprisingly physical on the defensive end, but he was very slow to adapt as a help defender. Most of Leaf’s defensive shortcomings were mental. He was slow to rotate, was consistently beaten on back-door cuts and generally had a difficult time keeping his head on a swivel. UCLA’s lack of perimeter defense put an unhealthy amount of pressure on UCLA’s big men, but it also exposed Leaf’s lack of continuity with his teammates on the defensive end.